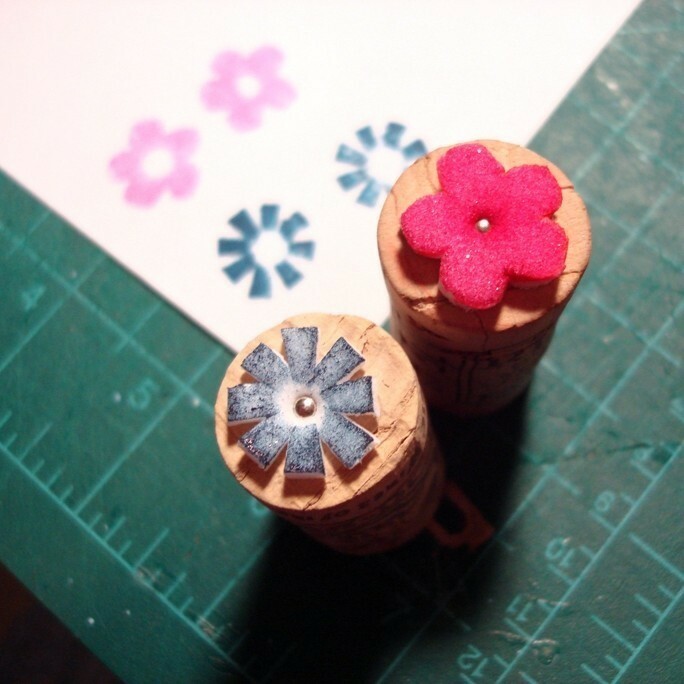 Make your own custom stamp design! 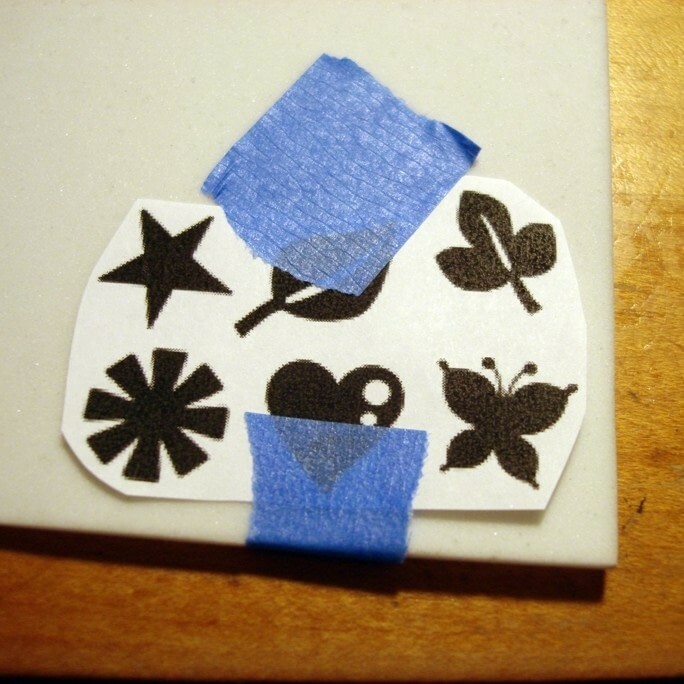 Print or draw out the pattern you want to make into a stamp. Using scissors and/or an X-acto or utility knife, cut out the design on a sheet of foam. 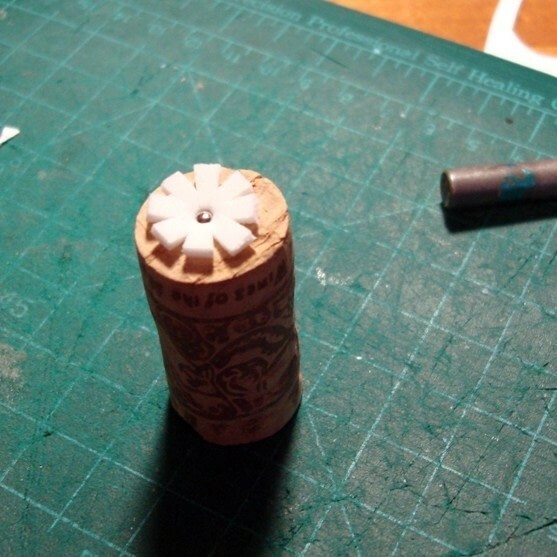 For each stamp you need one wine cork and a pin, along with your design. 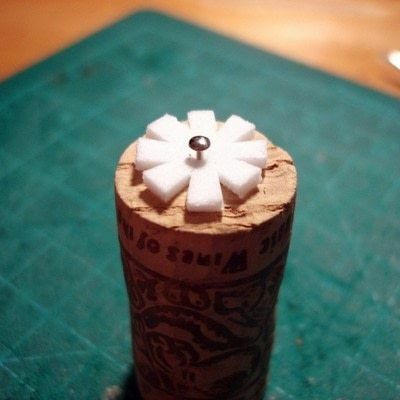 I used pins because I was doing flowers and wanted a void in the middle of the design. If you don't want that, use glue. Position the foam on one end of the cork, and push the pin in. 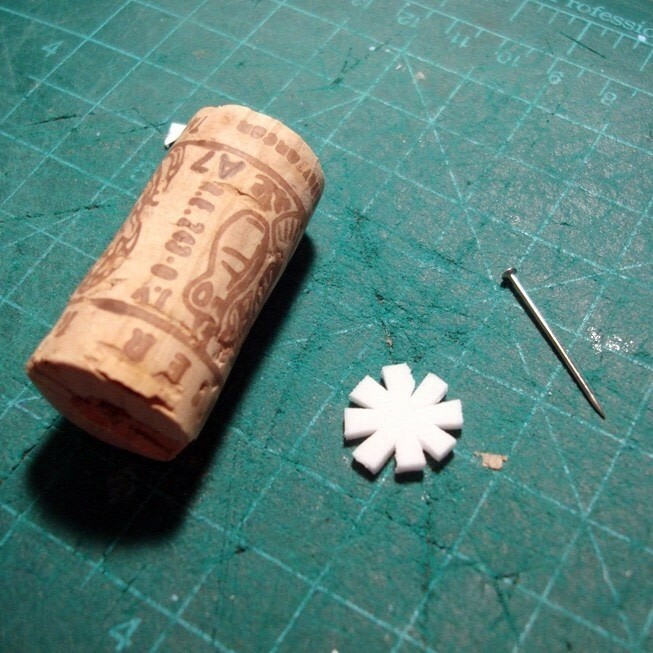 I use the the handle on my knife to finish pushing in the pin (and spare my fingers). Use ink, paint, sharpies, highlighters.... and stamp away! So simple yet I love it! Wow, I love the results! Great project. I'm wondering where I can get corks... I'm not a wine drinker.